by Heather Mikulas, Extension Educator, Allegheny Co. Choosing a legal structure for your business is one of those tasks that can feel overwhelming to the small farm or value-added business enterprise. The reasons for researching, selecting, and creating your business's legal framework are many. This guide is meant to serve as an overview and a starting point for a conversation with your accountant and attorney, with the end goal of selecting a structure which shields the primary assets of the owner from any type of potential litigation or liability claim that may occur from business activities. Hanging a shingle is an easy, fast way to begin making business transactions. This straightforward approach automatically puts your business in the category of a sole proprietorship. The business is you, and you are the business for all intents and purposes. Nothing has to be done to set up this arrangement, unless the business is operating under a fictitious name. The concern for the business owner is that there is no legal framework to shield the business owner's individual assets from those of the business. A partnership is a single company owned by two or more people, and may need to be registered with the State (Pennsylvania does not require registration by General Partnerships). Each partner contributes to all aspects of the business's management plan, financials, and share of profits and losses, and should include an exit or dissolution plan. Profits or losses from the partnership pass through to the named partners at tax time, rather than having the business file taxes. A very common structure small businesses use is a LLC, which stands for Limited Liability Corporation. It provides the liability protection of a corporation with the tax structure of a partnership, while providing for operational flexibility. Non-profit status, or incorporating as a 501(c)3 is unusual for agricultural enterprises, but not unheard of. Farms with a mission focused on food justice or education, for example, are those that may qualify for this status. Surplus revenue must be used to achieve the mission of the business, rather than be dispersed as profit. The cooperative is owned by those who use its services, and profits are distributed to the user-owners. There is a board and members have voting rights. This is common in agriculture, where high capital infrastructure such as packing, storage, trucks, or processing facilities can be purchased, used, and collectively owned by cooperative members to the benefit of all. If there are surplus profits, coop members are taxed once on the profits and not at the corporate level. The C corporation is in and of itself a legal entity liable for its potential debts. This is a complex structure which is usually reserved for large companies with many employees, and is not common in the family farm or business model. Profits, and therefore taxes, can pass through the S corporation to the individual shareholders. 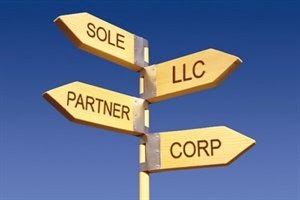 It is possible to create an S Corp sub-chapter on an LLC. As in the C corporation, this structure is not common with farms and small food businesses. In closing, it is wise for the small agriculture business owner to be educated about business structures and liability implications in order to protect primary assets. A small amount of planning and investment in engaging professionals where needed can protect the future of the business and its owners.